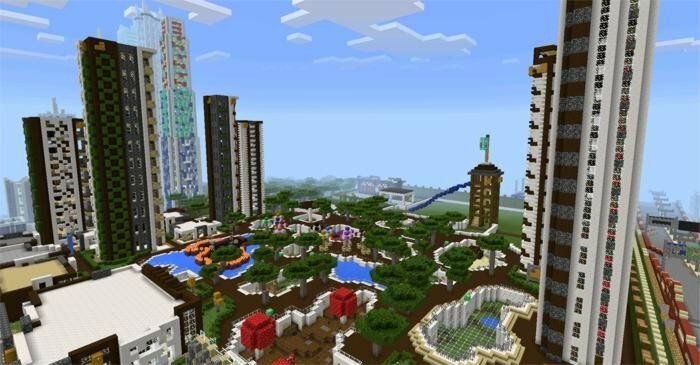 The map of biggest city ever made on Minecraft Pocket Edition - hours of exciting exploration guaranteed. You are free to enter any building on your way and even live there. 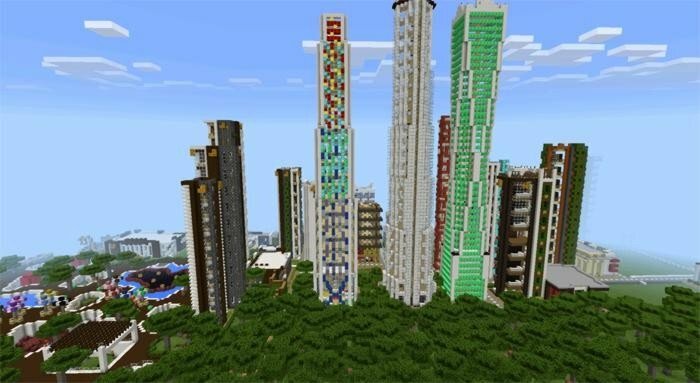 With all those skyscrapers, the city looks a bit of New York, but it also have suburban area with big amount of trees and only few buildings, such as sports arena.